Come Celebrate women in the sciences! Events for kids and adults are free and open to the public. Outreach event featuring 8 UF scientists. Have a drink with women scientists from a variety of STEM fields to talk about their research and interests. 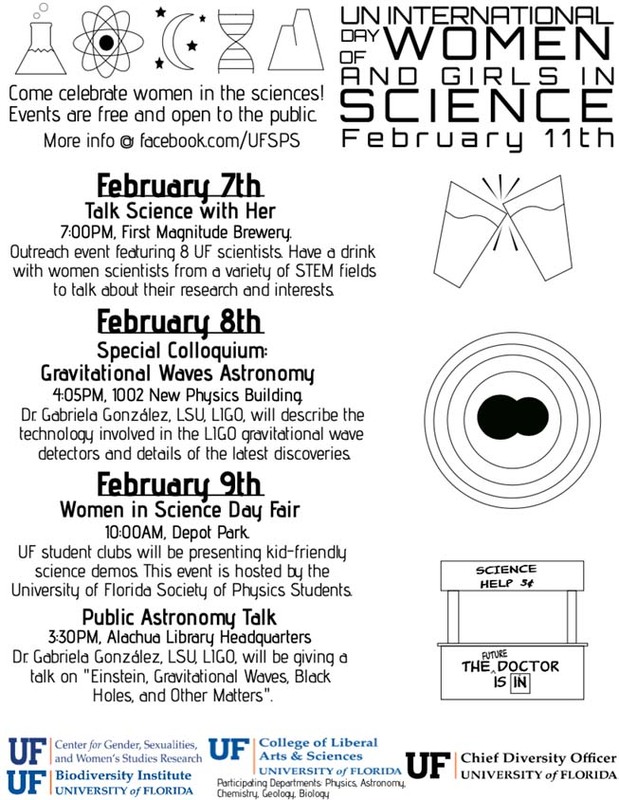 Dr. Gabriela González, LSU, LIGO, will describe the technology involved in the LIGO gravitational wave detectors and details of the latest discoveries. UF students will be presenting kid-friendly science demos. This event is hosted by the University of Florida Society of Physics Students. 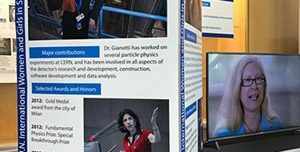 Videos of interviews and demonstrations with women physicists. Poster displays of famous women physicists. 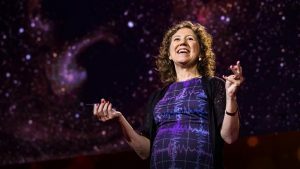 Dr. Laura Blecha is an astrophysicist in the Department of Physics. 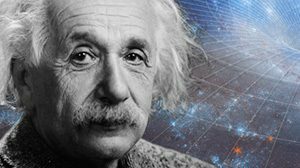 Her research investigates theoretical models and predictions for supermassive black holes and galaxy evolution along with binary black hole inspirals and mergers. Dr. Andrea Lucky is an evolutionary biologist in the Department of Entomology and Nematology who studies insects and invasion, specifically the biodiversity and conservation of ants, systematics and biogeography, as well as science communication. Dr. Sarah Rowlinson is a lecturer and undergraduate coordinator from the Department of Biomedical Engineering. Her expertise revolves around cell and tissue engineering, engineering education research, entrepreneurship, and online engineering education. Dr. Ayse Gunduz is a neuro-technologist in the Department of Biomedical Engineering. Her research aims to improve the quality of life of those who are suffering from neurological disorders through electrophysiology and bioimaging. Dr. Valeria Kleiman is a physical chemist from the Department of Chemistry. Her research involves the study of properties that are derived from macromolecules and polymers and the control of photochemical reactions. Dr. Lianne Jacobson is a postdoctoral researcher with the USDA. She studies the biology of colony forming organisms, drawing on aspects of organismal science, community, and comparative ecology. Dr. Ellen Martin is a geologist from the Department of Geology. Her research investigates the fields of paleoceanography and paleoclimatology the use of radiogenic isotopes preserved in marine sediments. Dr. Amy Williams is a geobiologist from the Department of Geology. She studies ways that microbial life can be preserved and detected in the rock record on Earth and on Mars using the NASA Mars Curiosity rover.